​LeBron, what is you doing, baby? That ​freaky Jason costume, and now this? 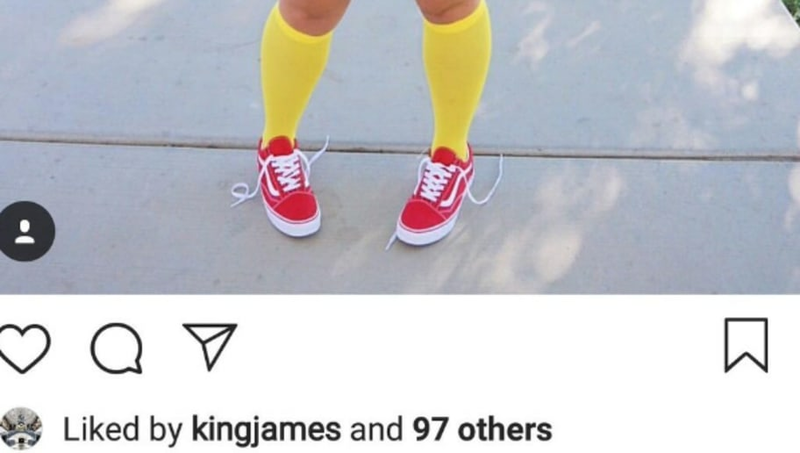 Blessed ​with an off day and a penchant for double-tapping dirty IG photos, Bron went to work on Thursday. And just imagine how many of these he'll be liking when he finally loses his patience. First, he cropped up here. Check the username! Trading one of those for the other won't leave anyone satisfied! Except Bron. He didn't stop there. ​​My man's always been a fan of @PerfectBooties, and he just chose to express himself today. Kudos for being yourself, Young King! Clearly, based on our Bron knowledge, this was all the wine talking. Unfortunately, for you modern lovers out there, he eventually figured out this was public and erased the evidence...or so he thought. ​​Sorry, LeBron. Screenshots last forever. Especially screenshots where you toss a like at some weird Nickelodeon-style pseudo soft-core during your down time. What happened to getting shots up at the gym?